Rice is one of the staple food of South Asian countries. Rice is very rich in carbohydrates, so it acts like a fuel for our body. It is rich in vitamin - B. It has lot of fiber content and is very helpful in bowel movements. So people suffering from constipation will find a relief consuming rice. India is an agricultural country and rice is the main crop. Two varieties of rice are available namely white rice and brown rice. Again, you will find a variety of white rice like jeera rice, basumathi, sona and so on. Brown rice has a lot of fiber in it and so it is recommended as the best food for the people suffering from diabetics. Since, white rice is processed, its bran or outer covering is removed. And so, brown rice has an edge over this white rice. However, diabetic people better stay aloof from this white rice. The recipe which I have listed below is one of the famous and common rice item in South India especially. 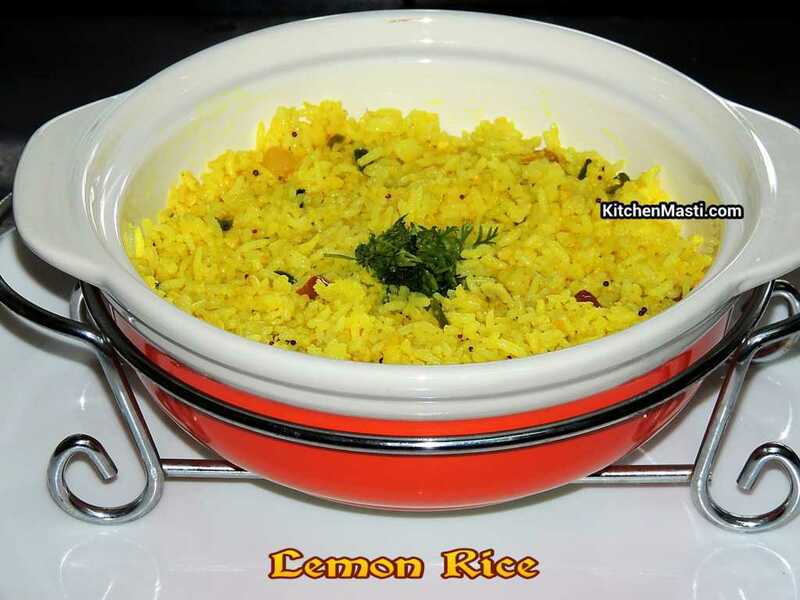 Once the basic rice is cooked, this lemon rice is the easiest dish to prepare. But it tastes very yummy. It is very ideal for tiffin box. The recipe goes as follows. This dish takes around thirty minutes to prepare plain rice and ten minutes to prepare and serve. With the below ingredients, you can ideally serve it to around 3 adults. For tadka / seasoning -1 broken red chilli ( byadige chilli ),1 tsp urad dal ( black gram ),1 tsp mustard seeds, 2 tbsp groundnuts. Boil the rice and keep it aside. Let it get cooled. Chop green chillies and slice the lemon. Heat a vessel or a big pan. Add oil into it. Now, add groundnuts, broken red chilli, urad dal / black gram, mustard seeds and curry leaves in to it. Once it starts spluttering, add green chillies and turmeric powder into it. Now, add rice and salt. Finally, squeeze the lemon into the rice mixture and decorate with coriander leaves. 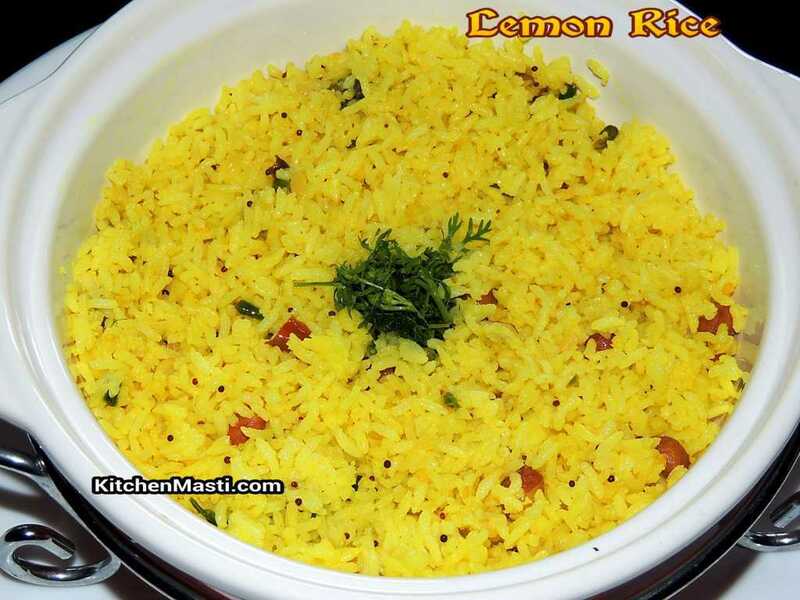 Your yummy and delicious Lemon Rice or Chitranna is now ready to be served. !!! Always, add lemon at the final stage, or else vitamin - C present in it will get destroyed. If you wish, you can add chopped onions into it too. For garnishing purposes, you can also add fried cashew nut pieces in to it. See to it that while boiling the rice, it does not turn sticky, so you can add 1 drop of oil in to it while cooking the rice.